ThinkShopBuy…LOCAL encourages the Greater West Chester community to purchase goods and services from the businesses of the Greater West Chester Chamber of Commerce. As a consumer you can Participate in this program by printing the coupons and shopping and buying from our Chamber members. As a business you can reach out to the Chamber and create an offering so your business can be part of the movement. We hope that you will Patronize the Chamber member businesses by thinking LOCAL before they buy elsewhere. $0.68 of every dollar is reinvested when you shop locally. Compared that to $0.45 of regional purchases and nothing when purchased over the internet. 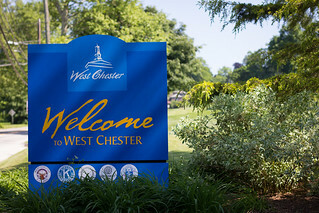 We ask that you help us Promote this program to your employees, within your business relationships, to your friends, your family…we are the Greater West Chester Community and we need to support each other. Local businesses are the backbone of our community and weALL need to ThinkShopBuy…LOCAL! If you are a resident of West Chester or someone who visits, download this free app by visiting The Greater West Chester Chamber of Commerce’s website and use your mobile device to scan the QR code or download the app in the iTunes store.